he entire roster will leave it all on the line in a night of fast paced, high impact, competitive entertainment that only EXPLOSIVE PRO WRESTLING can provide. After a dominant 2018 in the EPW tag team division, “THE WORLD BEATER” DAMIAN SLATER will challenge the new EPW CHAMPION “THE DON” MICHAEL MORLEONE for the championship. Morleone has fought hard to reclaim the EPW championship after being double-crossed but will face a steep challenger in the way of a former champion in DAMIAN SLATER. With a renewed focus on singles competition and JULIAN WARD joining the ranks of THE UNTOUCHABLES alongside MARCIUS PITT and AMBER – will THE DON’S championship reign come crashing down before it can begin? The EPW tag team champions the STREET GANG HOOLIGANS will be putting their championships on the line against the interstate challenge of THE VELOCITIES. The champions ALEX KINGSTON and LOGAN GREY have successfully defended their championships so far but now face their sternest championship test. The challengers from NSW are making a name for themselves around the globe and will be keen to add the EPW tag team championships to their building list of accolades. One thing is for sure and that is that with two of the hottest tag teams currently going round going all out for championship glory, this match will tear the roof off of Gate One Theatre. AND just how will the first ever EPW Grand Slam champion and now former EPW champion GAVIN MCGAVIN react to losing the EPW championship? 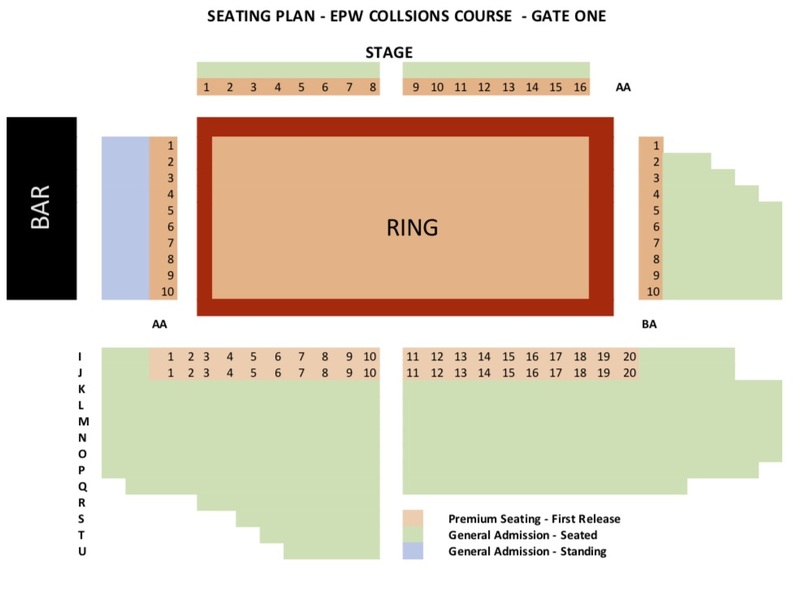 EPW’s very best are on a collision course with one another as they strive to make their way to the very top of the EPW mountain. The action is unmissable as nothing beats the live experience of witnessing EXPLOSIVE PRO WRESTLING – the leader of Western Australian professional wrestling! *Card subject to change.